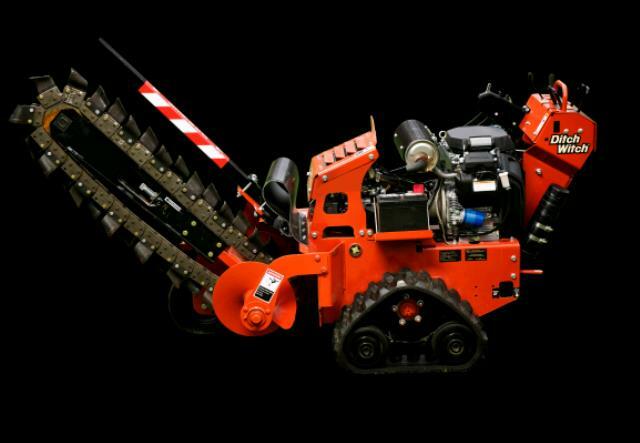 This is a track drive trencher capable of digging a 4" wide trench up to 36" deep. Must Be Transported on a 4'x 8' Trailer , Min. With the chain bar in the full upright position, the unit is 84" long, 33" wide and 47" tall. 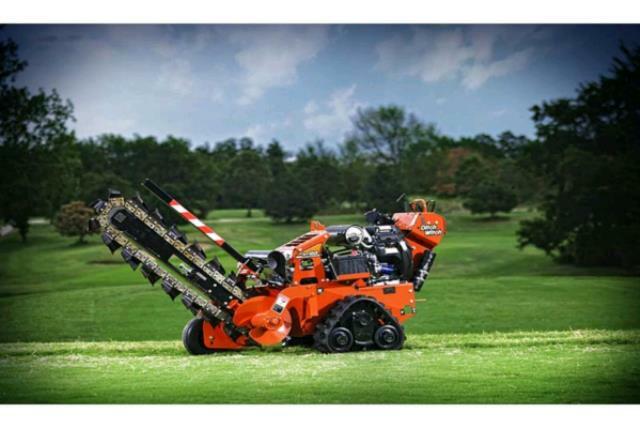 So fast, powerful, simple to operate, and easy to steer, the 22.3-hp (16.6-kW) Ditch Witch RT24 walk-behind trencher is a dream machine for electrical, plumbing and landscape contractors. Heavy-duty frames and components to stand up to the toughest job site conditions. Chains, teeth and sprockets are specially designed and manufactured to work together to provide exceptional productivity, and last longer than any other digging system. Superior-quality Honda engines run hard all day job after job, year after year. * Please call us for any questions on our trencher 36 inch tracked in Concord, serving all of New Hampshire, including Manchester, Canterbury, Loudon, Hillsboro, and Northwood.